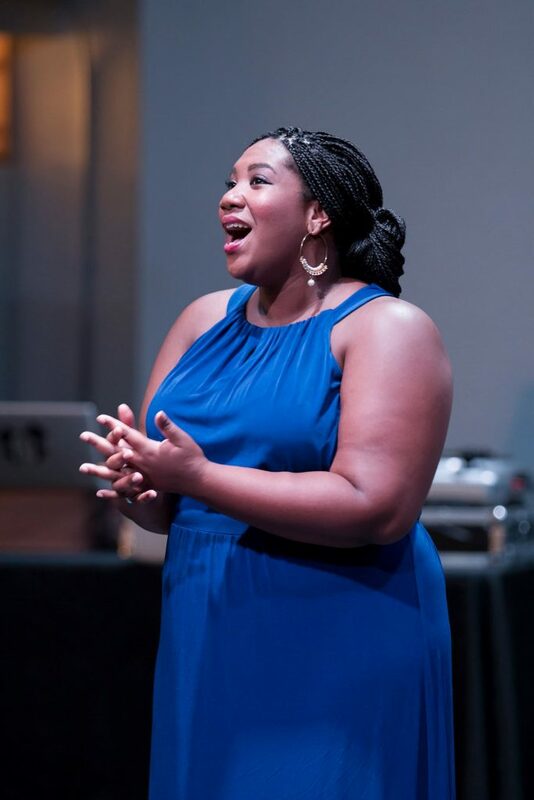 ANQWENIQUE WINGFIELD is an extremely versatile vocalist and teaching artist specializing in opera, classical music, jazz and soul. Anqwenique has performed lead operatic roles such as Magda Sorel in Carl Menotti’s The Consul, Hanna Glawari in Franz Lehar’s The Merry Widow and Zerlina in Mozart’s Don Giovanni. Anqwenique sang the role of Francie/Frankie in the world premier of new opera Mercy Train composed by Doug Levine and libretto by Julie Tosh. She holds a Bachelor of Fine Arts degree in Voice Performance from Indiana University of Pennsylvania. Anqwenique has been very active in the Pittsburgh arts and education community as teaching artist, consultant, program manager and advisor. She has worked passionately as a member of the BUZZWORD Pittsburgh collaborative, an early childhood literacy initiative of the PNC Grow Up Great Foundation and is the Education Director of Opera Theater of Pittsburgh. Ms. Wingfield is Vice-President of the Board of Directors for Pittsburgh Center for Creative Reuse and is the Studio Manager at BOOM Concepts.